I found some interesting information regarding Metra down the road improvements especially regarding the Rock Island. Check it out. If RID went electric they would have to redesign the gallery area. Current ME cars have a single cut out for ground platforms and all of RID is street level vs raised platform level. Also it would be nice if these cars could be longer due to electrical equipment taking up some room on the bi level. I know some conductors prefer the electric as it’s easier to reconfigure the cars, snapped together and your all set. If RID went electric they would have to redesign the gallery area. Current ME cars have a single cut out for ground platforms and all of RID is street level vs raised platform level. Aside from the fantasy of getting 400 new cars, the ME cars have traps. Essentially they were redesigned from the 6000/8500 series cars.So. one could design from the original source. Well idk if they should electrify any lines!!! During these rare circumstances, ME and SS are disabled due to wire problems. At least the diesels are chugging along. These harsh winters are brutal on electric transit systems. But as far as car design is concerned you could look at what Caltrain is doing. Reminds me of a Sunday I was trying to get to work in Chicago from the Gary Metro station. The train that was supposed to come never did due to snow, ice, and wire issues between Gary and South Bend. 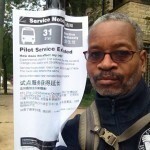 I wound up taking an Indian Trails bus to the Chicago Greyhound Station and got a ride to work from there. Unfortunately Main Line and SS riders dont have alternates readily available. South Chicago, Blue Island, and Kensington Local and Hyde Park riders do. Today would've been a good day for the nonexistent Metra Southeast Service. Metra Electric will remain shut down for a third day due to a freight train derailment on Wednesday that damaged a catenary support. 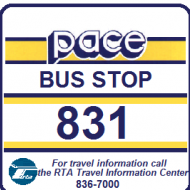 There will be limited Pace bus shuttles between the ME and RI. The Chicago Tribune has a picture of the damage in an article about the difficult commutes due to the weather. Not looking good for now. Link to the article. Was the initial shut down due to this or a wire problem some where else? It’s seems there was a wire issue and then this problem after. I saw that picture and OMG looks like a long time to fix!! The initial shutdown was due to wire issues due to the severe cold. The CN derailment aggravated the situation. Where would you store diesel locomotives for the electric lines? I was referring back in the late 80’ SS had to borrow equipment from metra for a while they stored it downtown millennium. My point is this, it would be nice if metra could run a diesel train when days of extreme cold. Like I said they could run to Van B and drop off passengers to avoid Smokey millennium station, but the platform is the issue. In 2005 they used a diesel switch engine to pull a Highliner on a South Chicago branch shuttle. This couldn’t be done on a large enough scale to be of any help today, but it’s one solution to the platform height issue. The ME will remain shut down tomorrow (Saturday). There will be no supplemental bus service but CTA and Pace will continue to accept Metra tickets on some routes. An announcement about Sunday service will be made tomorrow. The SS will operate test trains on Saturday on its tracks. However, like ME, no passenger service Saturday. Will it ever happen...no ! 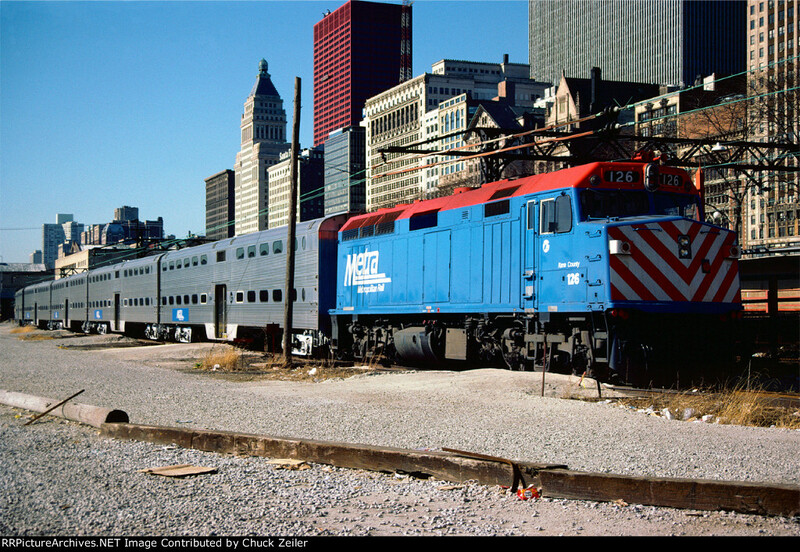 Because the Chicago clean air act prohibits Metra from operating diesel locomotives along the lakefront. Before it was discontinued, the ACES service on the Northeast Corridor ran with a diesel locomotive at one end and an electric locomotive all the way from New York Penn to Atlantic City. The electric locomotive pushed the train out of Penn Station down to north Philadelphia where the train reversed and the diesel locomotive pushed the train for the rest of the trip. I’m assuming this was because the train left the Northeast Corridor during the journey. That doesn't seem to make much since unless its specific to downtown seeing that CN operates freight trains from 16th St south. And we've known the SS to have borrowed a Metra diesel set in the past. But you're right that the city wanted the IC to not operate steam engines which is why the IC electrified way back in the 1920s. Plus they also separated their commuter tracks from the freight tracks. The ME will remain electric for the future.